One of CJ's roomates' girlfriend's (holy plurals!) recently moved to Colorado. It's nice having another girl at their house every so often. Sometimes we even win the fight over what to watch on TV, although that's really rare. When we lose, we bake. So it's kind of a win regardless! 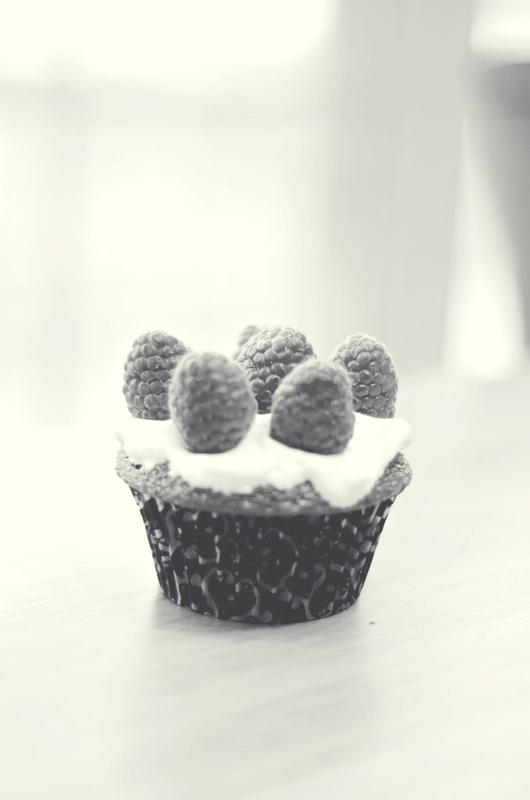 Our last batch of chocolate cupcakes were frosted with Cool Whip and decorated with raspberries. So perfect for these hot summer nights. Needless to say, I've been enjoying her company, friendship & new recipes! Yum! !Great pictures and very cute blog! I'm your newest follower. Yum yum yum! That looks delish. Making new friends is always fun; making new friends that bake with you has to be better though!! 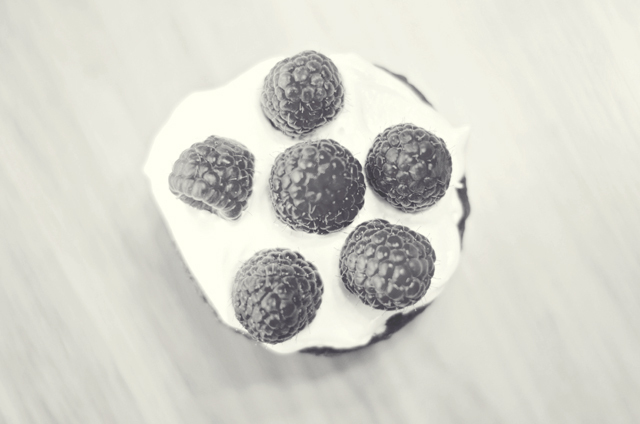 so yummyyyyy...love the black and white pics!!! 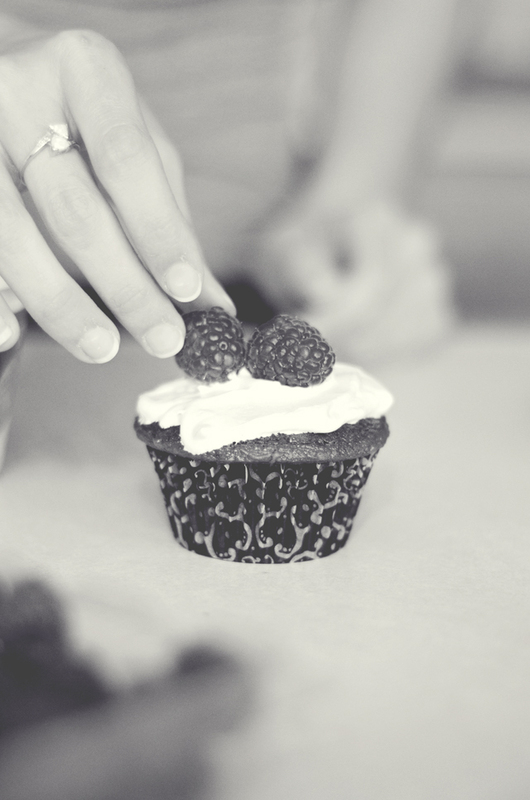 oh this is heavenly goodness, berries are my favourite and this cupcake looks simply delicious! these look so good! now i'm craving cupcakes. Wow it looks so delicious and yumyy yummmy,My mouth is watering..
oh this looks soooo delicous!!!! Looks so delish! Killer shots! So beautiful. This is definitely one of my favorite sites.